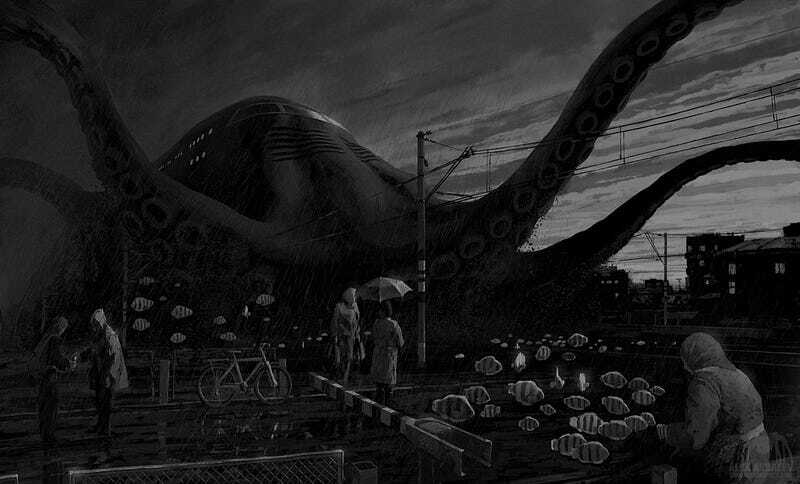 Chugging along the fish-filled tracks, the octopus train pulls into the station, aided by its mighty tentacles. What stories does it bring with it? This moody piece by Alex Andreyev is titled "Fade to Black," via this isn't happiness. As always, we invite you to write a story inspired by this image and post it in the comments.